Editor: I am appalled at the candidates for the Leesburg Town Council taking the endorsements of the Democratic and Republican parties and for the parties giving their endorsement in the Leesburg Town Council’s election tomorrow. Have we stooped that low for the local candidates to need those endorsements? These national parties have no business involved in these local elections. If the candidates cannot support their election by their previous contributions to and actions supporting the town and other local entities, they should not be running. Mr. Titus – most have money flowing in from corporate, or hidden individual sources, outside of the town, and in some instances outside of the state. One currently serving on the Economic Development Commission, as she has a private real estate firm, has her supposed competitors, but those she could be spoon-feeding work to, as she doesn’t do hardly any commercial work through her private real estate firm, has had someone set-up a GoFundMe Page and she and several of the co-workers have contributed, which is quite unusual in my opinion. I think less of the issue aligning with their political parties, and associated contributions from their respective parties, as it is at least all out on the plate as other variables are buried under the table. Our Town has so many corruptible undelying and/or conflicts of interests involved not per say with the elections, but just with the daily operations of government as many of the current officials, and they know who they are, continue to spend OUR tax dollars on pet projects for THEIR friends (political allies) and by “pulling strings” helping to facilitate those “say family members who may need help opening up a restaurant/pub”. I pray this one person is not elected, and the other person helping is not promoted, although she will still be serving a couple more years. I also wish when the Town Council as a whole approves “projects”, such as the downtown sidewalk widening project, that all restaurateurs/business owners, who have direct ties to and are heavily involved with certain political parties, along with a majority of the Town Council, announce their conflict of interest prior to engaging into the “project”, so that the tax paying citizens have a better understanding of the issues at hand. This is, was and will be a corrupt situation as no other businesses have benefitted from similar type widening projects and Mr. O’Connor continues to have direct ties to many, many people…… This is what you should be really concerned about……. When Leesburg changed their elections to correspond with the general election, they invited partisanship. That was a bad decision and I project that the partisanship will increase with the years because of it. But there are, as leesburgsfinest points out, worse matters and cronyism is one of them. I cringe to think that some in Leesburg want it to be its own city. That will only exacerbate the negative tendencies of the Council. Thank Kelly Burk, Ken Reid, Tom Dunn and Kristen Umstattd for bringing partisanship into town elections. They were right in there petitioning the court and than signed off when it came to the Council following referendum. It was a bad decision. I voted against the referendum. I did not vote for any of these candidates and I will forever be ashamed that my once civilized Town took our elections out of the May cycle when only knowledgeable voters showed up to vote in Town elections, to November when people who no nothing about our community vote based on party. The Town got what they deserved in this election — Kelly Burk, Tom Reid, Tom Dunn and a new person. Sad day for all of us! 1. The 2011 referendum to change the town elections was supported by Democrats, Republicans and Independents, who spent weeks gathering signatures on petitions to get this to the ballot. I was involved in this effort. The main reason was to increase voter turnout as May elections had seen under 10% voting. 2. The reason we did this was because the Town Council refused to consider moving the elections to an odd-year cycle, when turnout is still higher than in May elections, by primarily attracts voters keen to local and state issues. That failed 3-4 with Dunn, Hammler and myself voting yes. 3. At the last minute in 2011, the Loudoun Democrats on their sample ballot asked voters to vote “no” but it still passed 75-25. Why? See point 5 below. 4. The Democrats ALWAYS endorsed in the May elections and invited all candidates to be heard; the Republicans did not endorse, largely because the LCRC reconstitutes itself in the spring of an even-year election. In my two successful campaigns for Council in 2006 and 2010, I won without any endorsements of either party. I would like to think those who won this year did so NOT because they were on a specific sample ballot, but because they worked hard and have name recognition and a record. 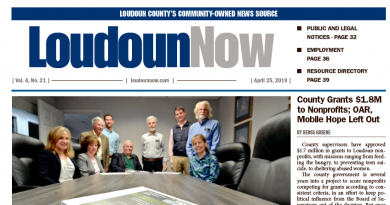 Ms. Burk has been involved in Leesburg issues since before I moved to town in 2002, as has Mr. Dunn. I joined the scene in 2004 and was elected to Council in 2006. And by the way, she was on the Board of Supervisors at the time of the election change and had nothing to do with it.